Sunreef’s Advanced Dive Course provides divers with a structured, well-supervised means to gain additional experience. It involves students in various underwater tasks that broaden their awareness of the environment and their capabilities as divers. This course gives you a taste of what more specialised diving activities are out there. It is designed to advance your skills under the supervision of an experienced instructor to help you feel comfortable in a variety of situations, including being certified to dive to 30 metres! You will learn how to navigate underwater and explore greater depths and much more! This course is also credit towards the Master Scuba Diver Rating and/or a Divemaster rating. 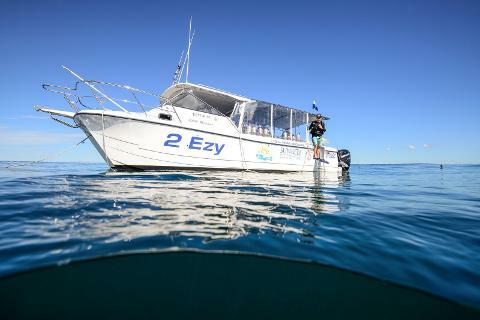 To obtain your advanced diver status, you will need to complete 5 dives on local reefs and the Ex-HMAS Brisbane. There is no particular order in which the courses need to be completed. There is also an e-learning portion to the course which needs to be completed. Finishing the theory before your dives will help you get the most out of your time underwater. Thriving marine life, pleasant year round diving conditions and ease of access have quickly made former guided missile destroyer, the HMAS Brisbane, one of Australia's most talked about dive sites. 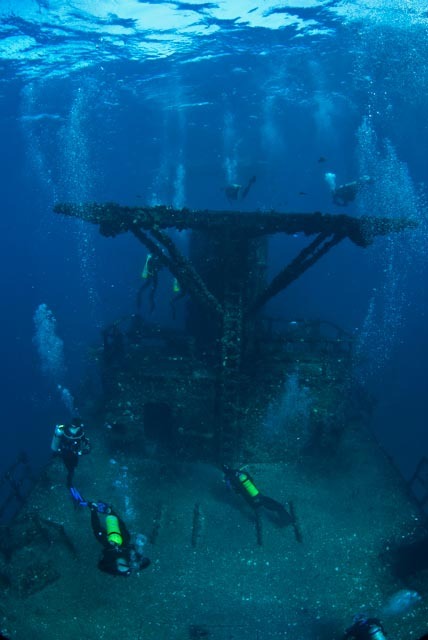 The typical three dives completed at this site are underwater navigation, deep, and wreck. Underwater navigation focuses on reinforcing your skill with an underwater compass and use of natural navigation. The deep dive conducted will demonstrate to you the effects of pressure and the changes of colour at depth. The risks of nitrogen narcosis will also be covered, making you a better equipped diver for deeper dives in the future. 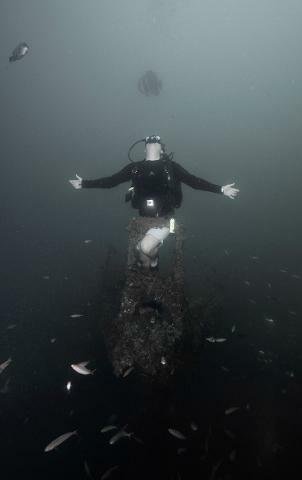 As we are diving on the ex-HMAS Brisbane, you have the perfect opportunity to prepare yourself for future wreck dives. You and your instructor will identify potential hazards to wreck dives, better preparing you for safer, more enjoyable dives on different wrecks in the future. Whichever you choose, your instructor will cover the different requirements and aspects of the dive. Pick whichever you find interesting, or what you feel you need improving on. These dives build upon the foundation of your basic diving skills, helping you become not only a better diver, but a diver who can get more enjoyment out of the aspects they love best. • 5 Great Dives and Lots of Fun!